Brief Candle Press, 9780989441049, 208pp. Joseph Killeen was sent to eliminate the threat of savage enemies in the forests of New-York, but when he meets Ginawo and his peaceful village of Skarure, he realizes that nothing is as simple as he was told. The Haudenosaunee Confederation is being torn asunder by the American Revolution, forced to choose sides in a fight that's not their own. Can Joseph and Ginawo bridge the divide between their peoples, when warfare threatens to destroy both societies? The Smoke is the standalone New-York novel in the Tales From a Revolution series, in which each volume explores how the American War of Independence unfolds across a different colony. 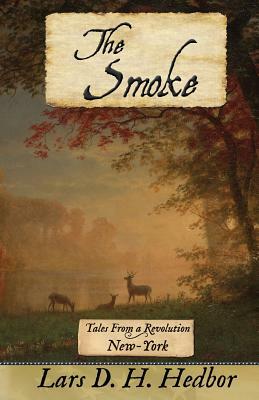 If you like stories such as The Deerslayer, or you've ever wondered how the Revolution affected those who were here before the Colonists, you'll love The Smoke.